I will start sharing gift-giving ideas starting TODAY! I will randomly post great-gift finds because Christmas is indeed very near! Whenever I want to give gifts for my makeup loving friends, I always knew deep in my heart that we can never have enough brushes! I personally own so many brush sets but it is always nice to receive more because....come on! Do I need to explain myself? 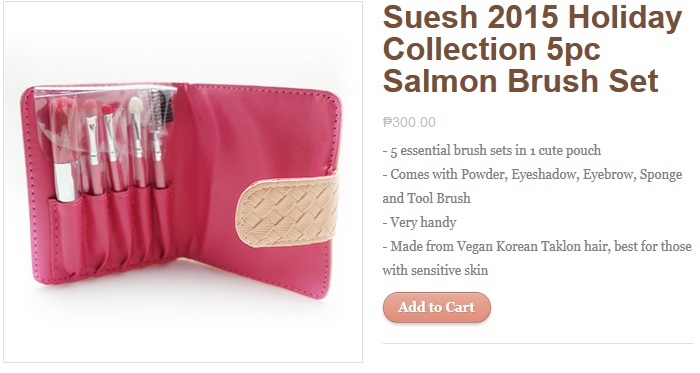 And the Suesh 2015 Holiday Collection is no exception to the rule! 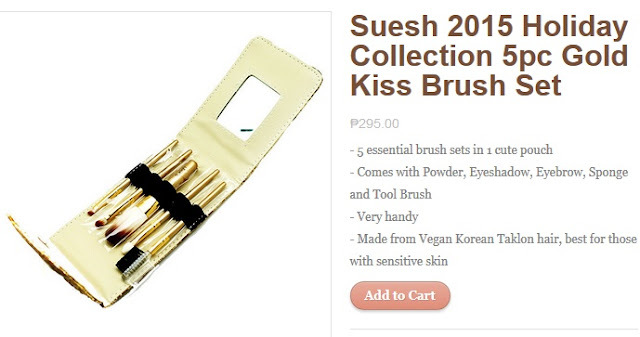 I clicked on their site and found nice collection of brushes for the holiday and they are priced reasonably! The KIT comes with 5 essential brushes to create a simple look! 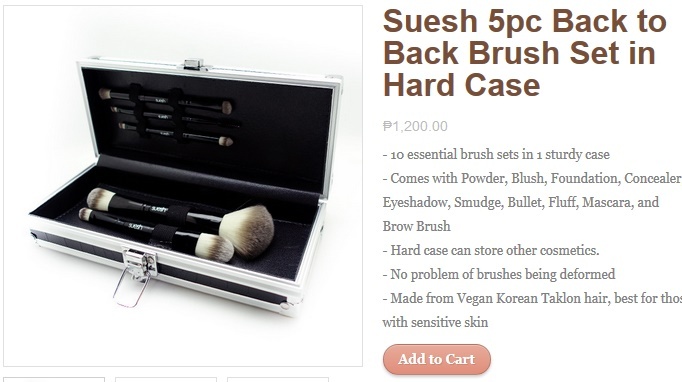 The handle is black with gold ferrule and these brushes are made from Vegan Korean Taklon Hair, so I believe these brushes are perfect even for users who have sensitive skin! It comes with a Powder brush than can double up as a blush brush, a flat shader brush (small and large) for concealer application, cream or powdered shadow application, an angled eyeliner/eyebrow brush, a blending brush! This set is a perfect starter kit for those who are into makeup but don't want the confusion which brushes to use for specific functions! These 5 pcs are straightforward and very easy to use! And you may feel free to pick other available sets based on your personality! What is your favorite Holiday 2015 set from Suesh? I though the price was a typo...I can't believe with what I saw on their website! Hooray! yes, I thought I saw it wrong too! pero tama! hahahaha! Glad you got it at 10% off pa! purchase another one na lang for yourself! You deserve it! Christmas na!